Duke, like many highly selective colleges, encourages students to apply who don’t have a shot of getting in. These schools do this to boost their “US News & World Report” rankings. One of the purposes of our college admissions blog is to demystify the highly selective college admissions process for our readers. We’re also all about debunking common misconceptions about the process. And so we thought we’d respond in a bit more detail to a Comment on a recent post. The Comment was in reference to a statement we made that highly selective colleges — including Duke University — recruit students to apply that have no shot of getting in. They do this to boost their application numbers, lower their admission rate, and improve their all-important “US News & World Report” ranking. To put it in this Commenter’s words, this suggestion is patently ridiculous. Do you really think the Duke admissions office would prefer fewer students apply Early Decision so as to lower the “tremendous workload” or decrease the “great internal administrative and processing difficulties”? What difficulties exactly? Do students who apply Early Decision to Duke have better odds of getting in than do those who apply Regular Decision? You bet. But what does this have anything to do with the fact that Duke — and just about all highly selective colleges — recruit students who don’t have a shot of getting in simply to boost their ranking. 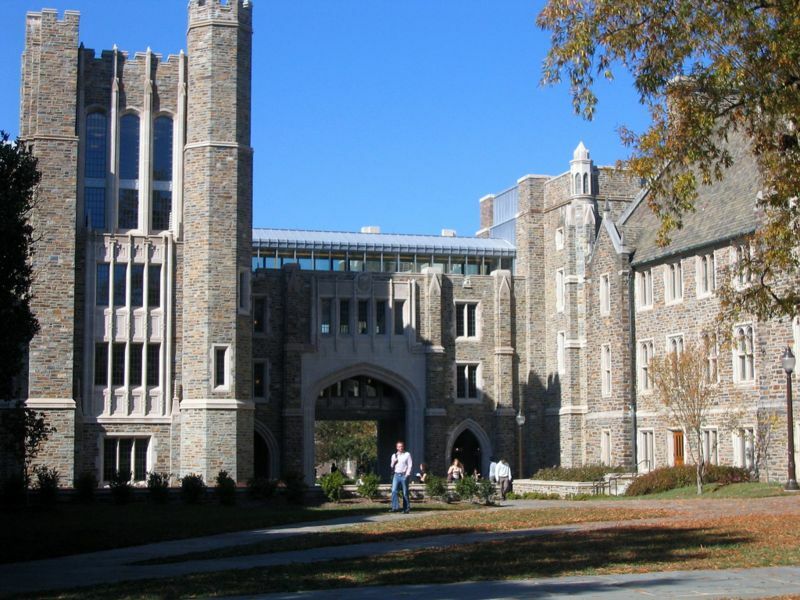 That “US News & World Report” ranking has a major impact on a school like Duke. Why respond to a ridiculous claim about Duke admissions that is obviously made up by someone who is clueless. It makes your otherwise fine article look like you have nothing better to do than waste time on some useless comment. Fair point. We debunk myths on our college admissions blog and to do so, we often present misconceptions. But your point is taken! Getting back to your point about selective schools. It is a scam and more people should be talking out about it. One of my kids asked for information about Columbia University a year ago. He was then bombarded with marketing emails urging him to apply and why Columbia was the right school for him. They knew nothing about my son. For all they knew he could have been flunking out of high school. If the top schools won’t stop this, the government should start looking into misleading advertising by these schools.